In 2019 visitiors at Prolight + Sound have something extra to look forward to: Messe Frankfurt has launched the “Insider” benefits program. This program offers dealers and purchasing decision-makers from the fields of music and event management not only personal on-site support, but also free admission to all four days of the fair. The ticket for the duration is valid for Musikmesse and Prolight + Sound, including festival bracelets for the Musikmesse Festival and the new Musikmesse Plaza. The participants will be welcomed with a personal insider bag at the reception, including a food voucher, and will receive further information about the fair, the fair catalogue, and many other give-aways. Anyone who has registered for the Insider Program will also receive a Business Matchmaking Profile, which can be conveniently accessed and maintained via an online tool. Through business matchmaking, visitors can quickly and specifically find the companies that are particularly relevant and plan meetings clearly via an online platform. In addtionion, the matchmaking team is always available for personal support. 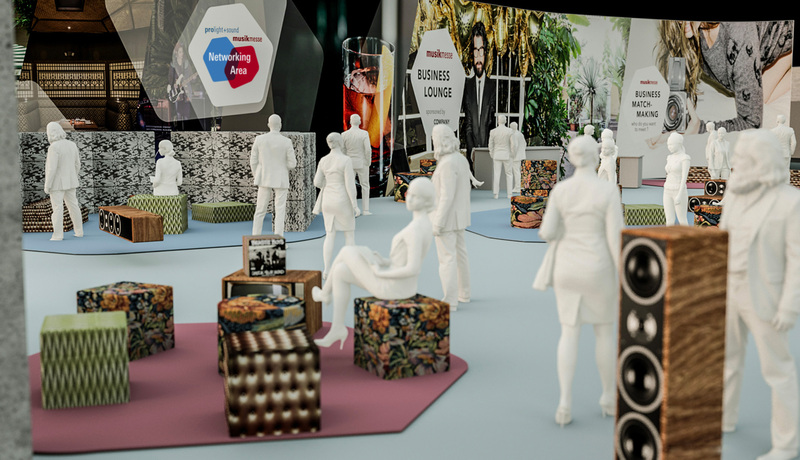 The lounge concept of the new Networking Area, with lecture stages and catering areas, invites insiders and buyers alike to find the best way to get started in business talks. Membership in the benefits program is free of charge and can be cancelled at any time. Specialists dealers as well as employees of trading companies and rental companies in the fields of event, media, stage, lighting and sound technology are all eligible. Registration and additional information at www.insider-programm.de. Prolight + Sound takes place from April 2nd - April 5th 2019 at Messe Frankfurt (Frankfurt am Main).